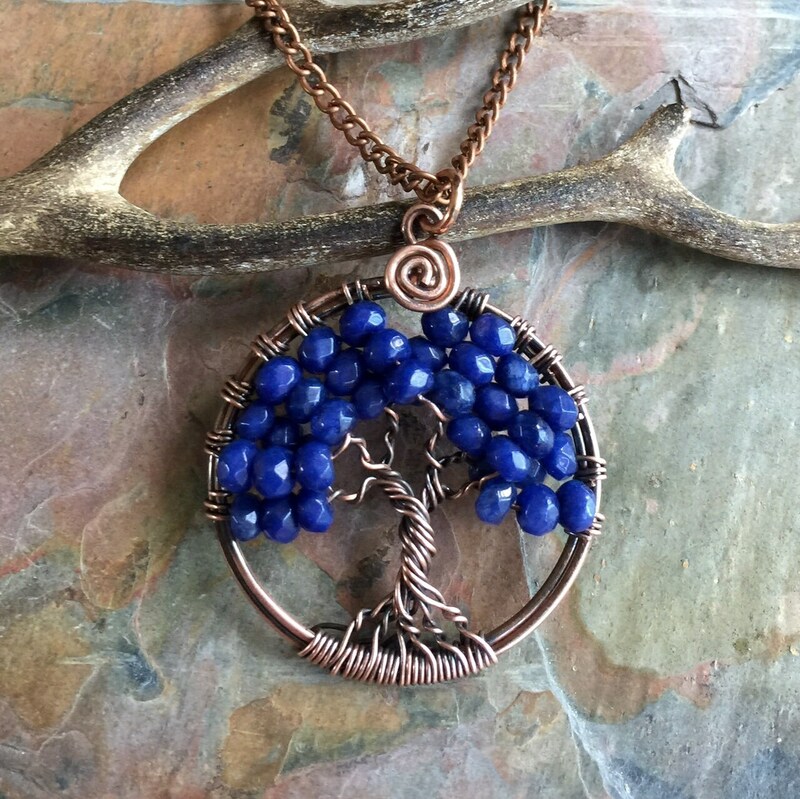 This Tree of Life Pendant is hand wire wrapped with Genuine Lapis Lazuli gemstones. The pendant has been antiqued, hammered & forged to give strength & texture to bring out the unique details of the finished tree of life pendant. 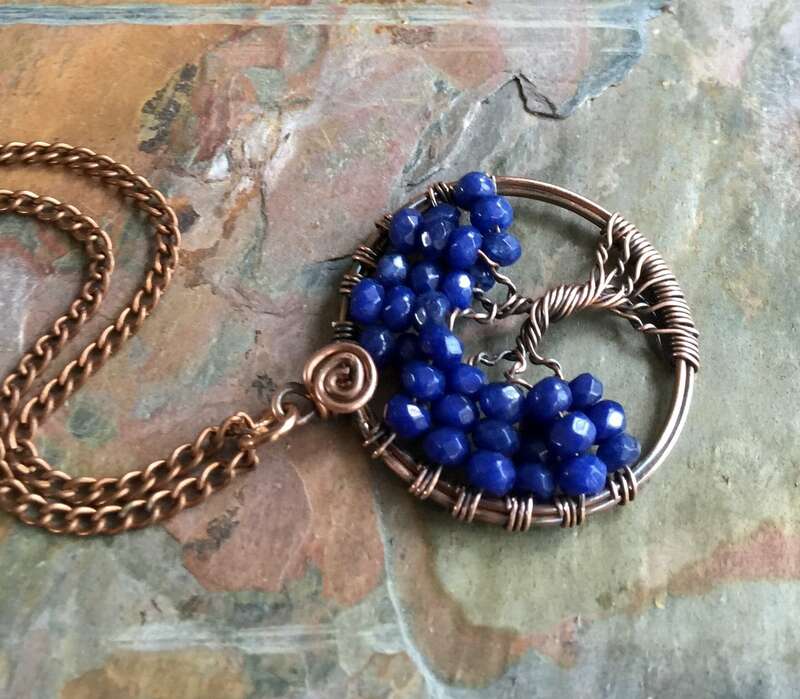 This is the smaller size version tree of life pendant necklace. 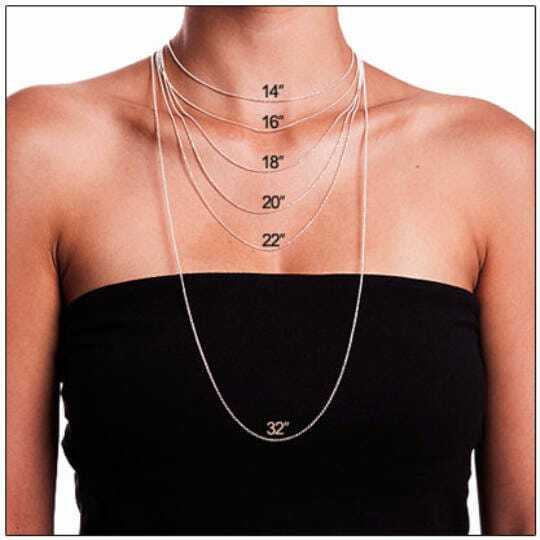 *The pendant measures about between 1.30 to 1.35 inch in diameter. 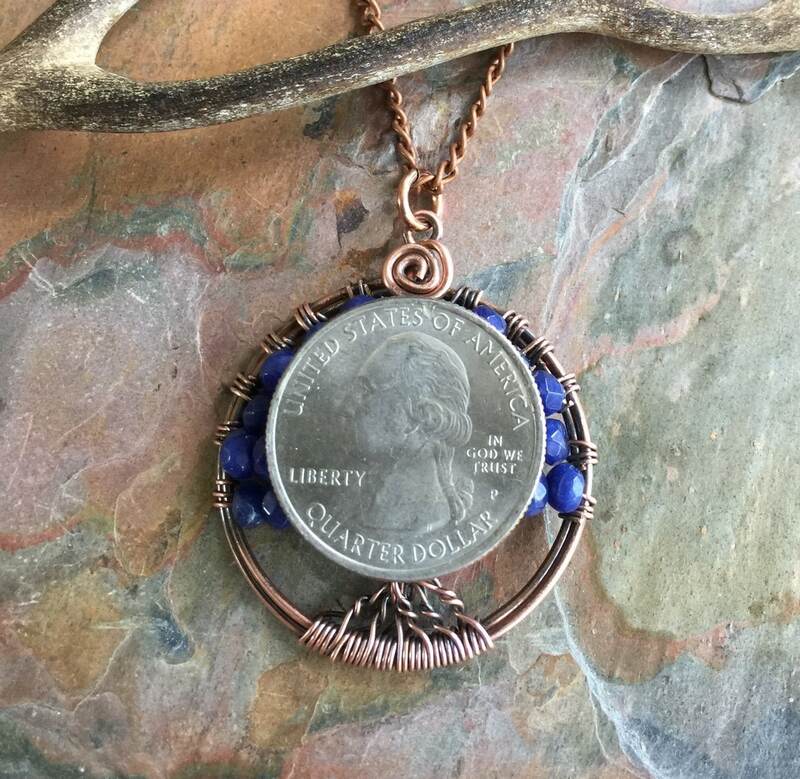 The pendant comes on an antiqued copper chain. 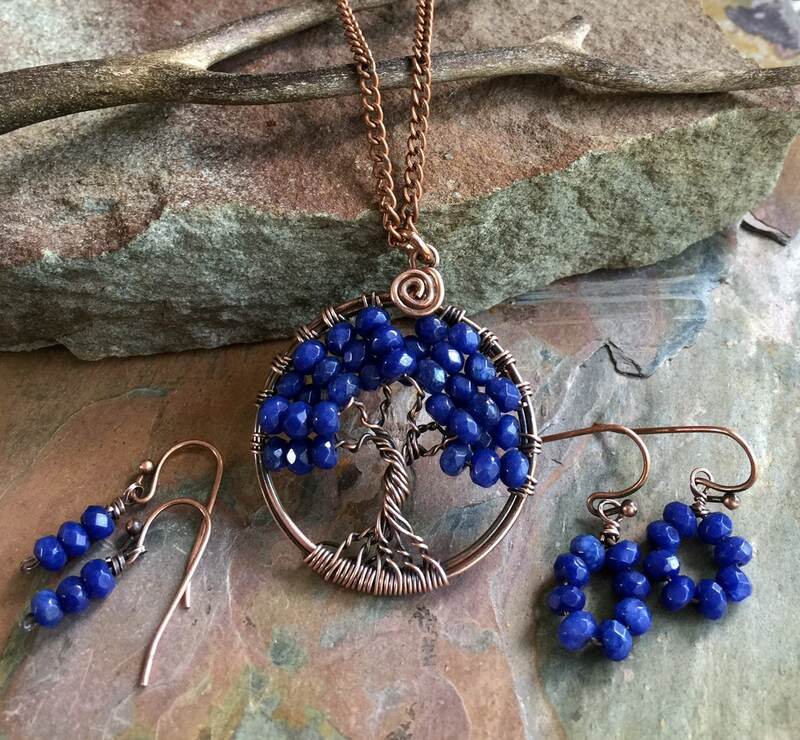 * Each pendant is handmade, so please allow slight variations from the shape of the branches and placement of the stones as shown. 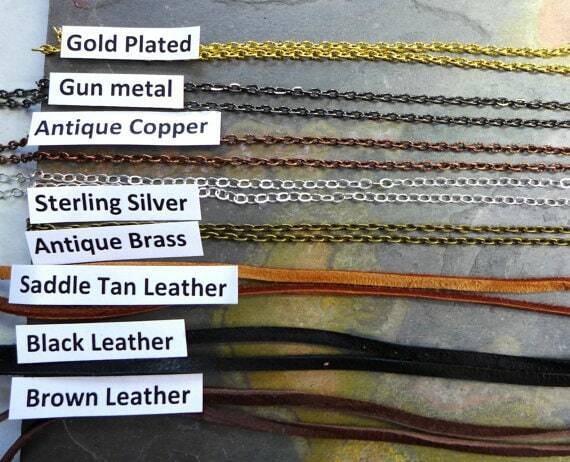 * Please email me or leave me a note to seller with desired initial when check out. 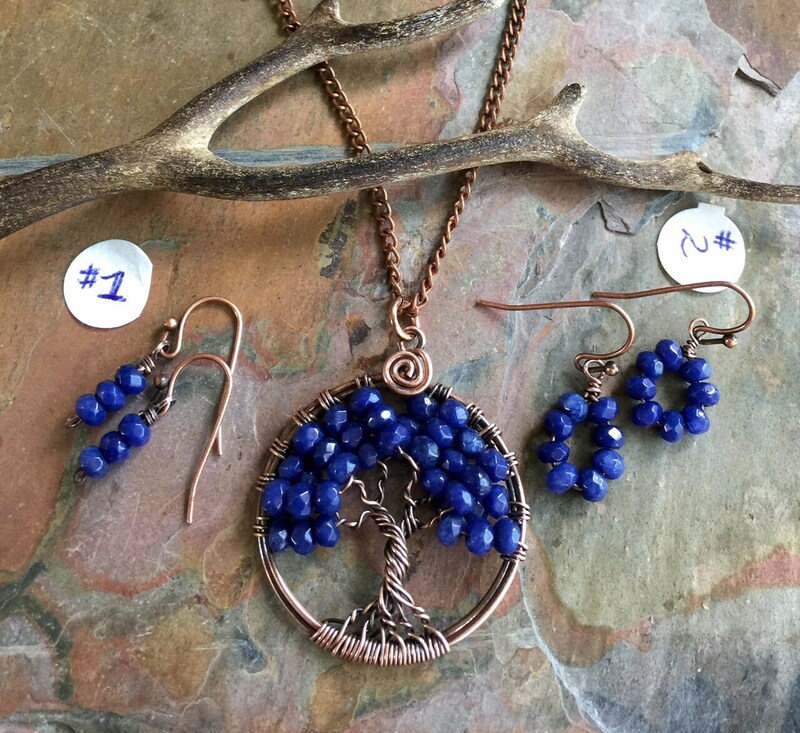 *The matching earrings are AVAILABLE: made with same nice blue Lapis gemstone. 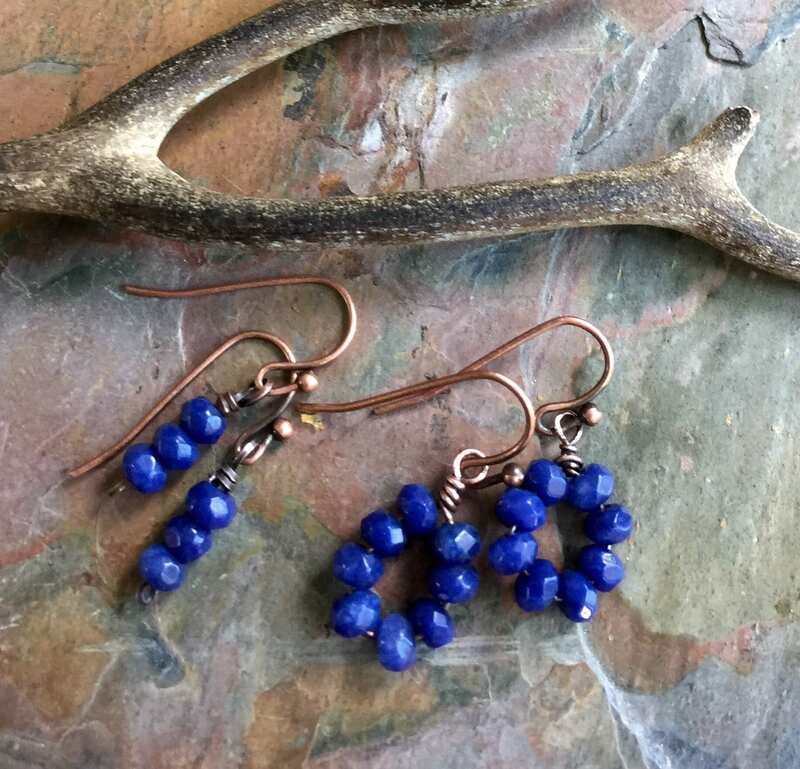 Here is the link to view: www.etsy.com/listing/639318001/sapphire-earrings-in-antiqued-copper?